The CSVR clarinet has been carefully â€˜r’efined to give players unrivalled freedom of expression. A number significant changes have been made to the instrument’s design allowing Yamaha to deliver a clarinet that meets clarinetists’ desires for a higher standard of clarinet. 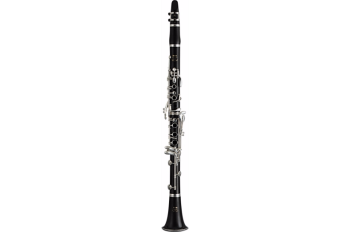 Its beautiful tone, rich expressive capabilities throughout the dynamic range, and a tone with exceptional presence, Yamaha’s new CSVR sets new standards in professional clarinet craftsmanship.